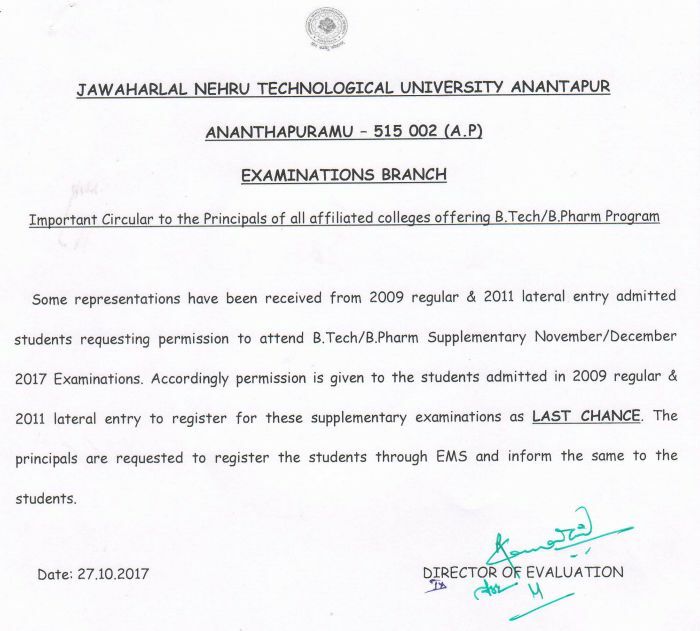 Some representations have been received from 2009 regular & 2011 lateral entry admitted students requesting permission to attend B.Tech/B.Pharmacy Supplementary November/December 2017 Examinations. Accordingly permission is given to the students admitted in 2009 regular & 2011 lateral entry to register for these supplementary examinations as LAST CHANCE. The principals are requested to register the students through EMS and inform the same to the students. 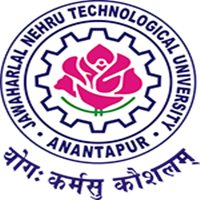 Please sir r09 jntua b.tech batch sir give me one notification sir in 2018 may please sir …..save me …… please sir……..